Morning light touches the peak of Monte Tronador ("the thunderer"). Today we'll hike up to the Otto Meiling Refuge on the slopes of this old volcano. 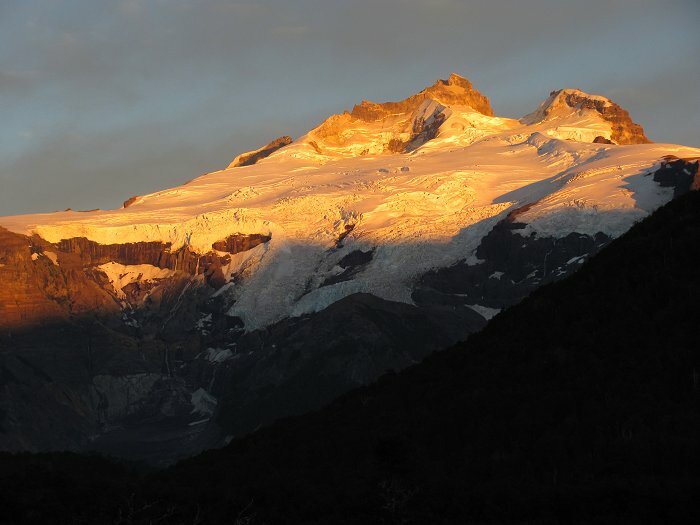 We can hear the occasional cracking and rumbling of glacial ice from Pampa Linda.